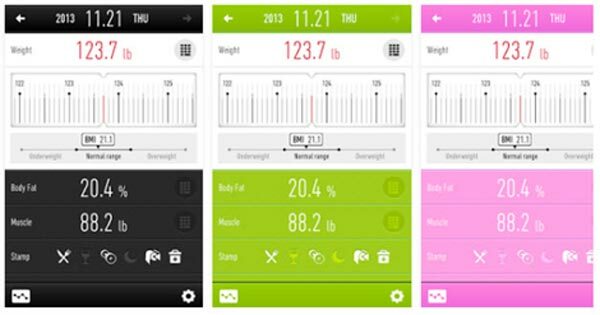 Home » Weight Loss Tools and Apps » The 6 Best Weight Loss Apps You Definitely Need to Try! Looking for the best weight loss apps? Yes, the wonderful world of mobile technology can now help you attain your health and fitness goals. So we’re going to discuss the 6 best weight loss apps (3 Android, 3 iOS) that you might consider using to help you attain your diet and fitness goals. 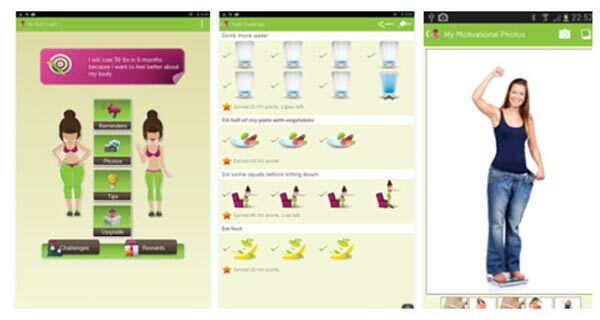 #3 Android app: My Diet Coach. 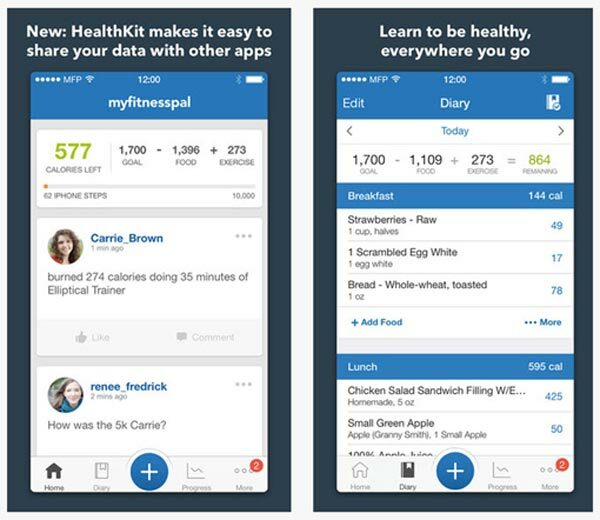 #1 iOS (Apple) app: MyFitnessPal’s Calorie Counter & Diet Tracker. #2 iOS app: Lose It! Weight Loss Program and Calorie Counter. The following lists and discusses the top rated Android apps listed under the “weight loss” category at the Google Play store. As you can imagine, things change quickly in the app world, so by the time you read this, these may not be the top rated applications anymore, and perhaps their features may have been updated. Even still, they’ll always be worth a look. The main objective of this app is to track weight loss progress by recording values once daily. It’s basically a weight loss diary. For starters, the biggest downside to the Weight Loss Tracker is that it is based on waist measurements only. Many reviewers rightly say that keeping track of other measurements such as arms, thighs, and hips would provide more accurate results. These are the common places of measurement you’d use if you were using a body fat caliper to determine your bodyfat, for example. Another problem noted by users is the apparent lack of functionality. 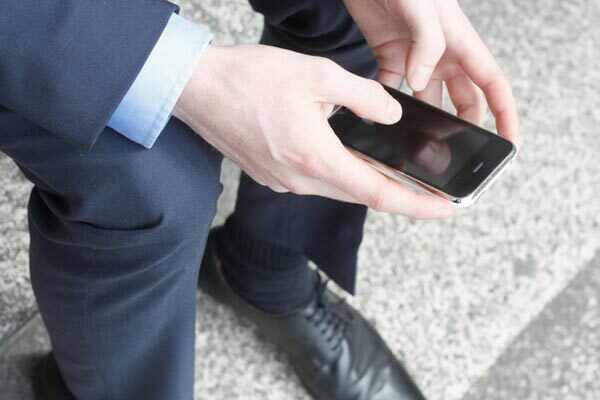 The app is designed to record data and measurements – which you have to obtain yourself from other sources. The BMI (body mass index), for instance, doesn’t calculate itself. You have to use a separate app or calculator to figure out your BMI before entering the value in the tracker. On the plus side, the great thing about this app is that it’s highly motivational. It has a reminder system which keeps you from forgetting to input your measurements for the day. It also has a graph function that shows the progress you’ve made within a specified period. You also receive weekly summaries of your progress to track your improvement. This app will serve your needs very well… if you already have a weight loss plan and if you’re looking for a diary to keep track of your progress. If you need a guide or planner to help with your weight loss efforts, this app doesn’t have much to offer. The app is free for all and available to download on the Play Store. It features a virtual personal trainer who guides you through short, 7 minute high intensity interval training workouts. 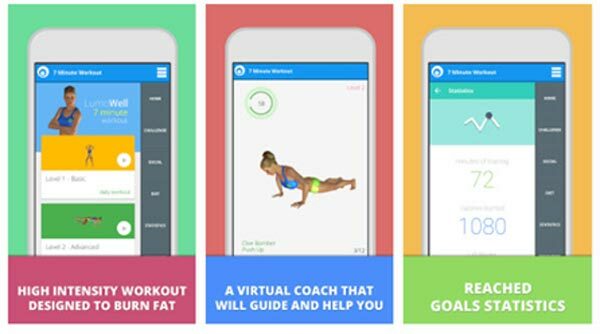 The objective of the app is to motivate you to lose weight in the shortest time possible with these intense, specialized workouts. What’s high intensity training (also called HIT)? It’s a fairly popular workout strategy which involves a short period of extremely strenuous work, followed by a short break, followed by another period of extremely strenous work, followed by another break, and so on. This, some people argue, helps you lose fat faster. I’ve talked about high intensity training many times on UltimateFatBurner.com – if HIT interests you and you want to learn more, check out this article! Many users gave favorable reviews for this app because of its features and style. Not surprisingly, this app is excellent for users who have limited time to work out. Reviewers were also happy that the app didn’t restrict you to the current, featured workout. You can limit your workouts, tune them down a bit, or push yourself to the limit. You can also follow alternative workouts if you find the current one too challenging. While this app is pretty cool, high intensity training isn’t for everyone. If you’re out of shape, elderly or a beginner, HIT is not the place to start your exercise program. It takes some training to get yourself to the point where you can comfortably (and safely) exercise at 100% maximum effort. In my opinion, you’ve also got to like exercising and be willing to really push yourself for HIT to be an option. If you don’t and if you won’t… this app won’t do it for you. The basic version is free, but the paid version unlocks several features including more advanced exercises, weekly meal plans, stretching cool down workout, and a 30-day 7-minute workout challenge. Paying for the app also removes advertising. The “My Diet Coach” app works as a journal and motivational tool in one. You can set your weight loss goals and the app will help you plan your weight loss efforts to meet this. The app also has reminders and motivational photos to keep you going. The easy-to-use interface of this app is an absolute delight, and keeps users coming back for more. Many reviewers were pleased with the reminders the app provided, especially for drinking water. You also get daily challenges which can motivate you to move more and exercise properly. Although you only gain access to the best features when you upgrade to the Pro version, it only costs $4 which is a pretty good deal. Plenty of users are happy with their upgrade although some just download a separate app to compensate for the features you can’t get from the free version. Myself, I’d prefer to have everything in one place to avoid unnecessary clutter. But that’s your call. Like the Weight Loss Tracker we discussed earlier, this apps acts like a diary that records your progress. It’s not for planning workout routines, but it does provide reminders for exercise and healthy habits. I recommend this for those of you who need regular reminders to stay focused on your weight loss goals. It’s also excellent for busy people because it motivates you to find time for exercise despite your tight schedule. The free version has all the basic features but when you pay for the upgrade, you get weight and body measurements charts, diet diary, BMI calculator, and other features that will help you reach your weight loss goals. The following 3 apps are the current top rated iOS/Apple apps featured on iTunes at the time of this writing. As you know, things move quickly in the digital world, and by the time you read this, they may not be – but that doesn’t mean you should dismiss them. This diet tracker acts as a food diary that helps keep you from overeating and helps you attain your daily caloric goals. The app is connected to a global food database so even users from different countries can get calorie counts for their local foods. Apart from calories, the app also tracks other nutrients from your food entries including fat, protein, carbs, sugar, fiber, and cholesterol. It will also suggest how many calories you need to consume to obtain a specific goal. If you wish to lose 20 pounds in 6 months, the app will calculate just how many calories you can eat within that time period in order to achieve that goal. Most users seem pretty satisfied with this diet tracking app. Many reviewers claim that they lost weight using it when they weren’t able to achieve success with other weight loss apps. The many features of the app are also popular – especially the built-in pedometer (which shows how many calories you’ve burned from walking). You won’t need to install a separate app for that. One of the most important things to consider if you’re thinking about installing this app is that it only tracks your diet and physical activity. It doesn’t make recommendations about exercise or workout routines. It focuses more on the food you eat rather than the actual calories you burn by working out. Great for calorie tracking. Cool additional features – like the pedometer I mentioned a moment ago. The free version is definitely worth investigatig. If you’re a fan, consider an upgrade to the premium version – which costs $9.99 monthly or $49.99 annually. But try the free version first. The Lose It! app is very similar to the MyFitnessPal’s Calorie Counter Android app we discussed earlier in this article. It’s a tracking app that allows you to record your meals your physical activities on a daily basis. Using that data, the app totals up and reports on the total number of calories you consumed, and then burned that day. Lose It! also has its own calorie database filled with millions of food varieties. Weight loss challenges where you are given a target weight loss goal for a particular period. Exercise challenges where you are given exercise routines to perform. Daily logging challenges where you are asked to input your stats every single day for a specific time frame. Fruits and vegetables challenges where you monitor how much you eat your fruits and veggies. And customized challenges which you or someone in your social group can make for everyone to join. Plenty of users have found this app very useful when it comes to tracking and maintaining caloric intake. Most reviewers like the social aspect of the app which allows you to share your progress with friends, family and others within your social group. This adds “accountability” into the mix, and that’s a good thing; it’s why many traditional weight loss clinics insist on “weigh ins.” If you have to be publicly responsible for your successess and failures, it’s a strong motivator to stick your plan. In addition, the challenges really add to the motivational factor behind this app and several users expressed how much help these challenges were in their weight loss efforts. In short, it seems that these challenges really help you push it “to the limit” and keep you motivated and interested. The motivational features – and the option to be accountable to others in your social group – make this app a good choice, especially for those of you who are unable to find time for exercise. If you want to reach your weight loss goals, this app will help you should use to stay on track. The free version offers plenty of the basic features. You can create public challenges for all your friends and family to participate in. You can also join any public challenges made by other users. But with the Premium $19.99 upgrade, you get access to special Lose It! challenges, as well as make and join Private or Hidden challenges which can only be accessed by selected people. 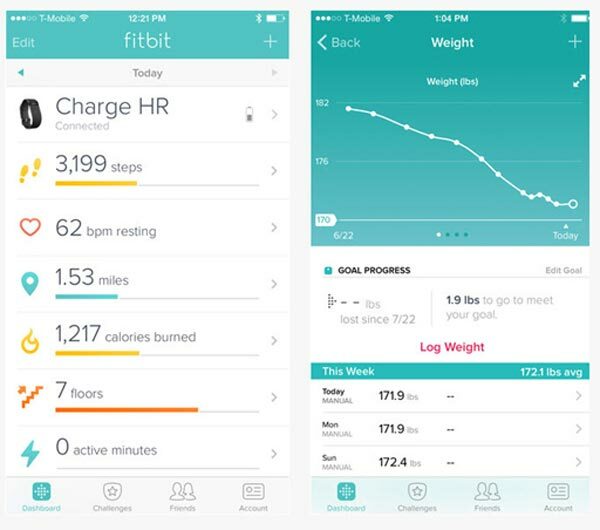 Fitbit is a weight loss tracking app, but at the same time it is far more than just a simple calorie counter. It features an activity tracker that allows you to record all of your physical activities for the day, whether that be walking, running, and climbing stairs. You can also record your workouts to see how many calories you burn with each routine. On its own the app works well enough, but when paired with a FitBit Tracker or compatible tracking app, (you can also integrate it with the Aria Smart Scale), you can obtain a much more detailed analysis of your daily activities. Of course, no weight loss app would be complete without the ability to log your calories, set a goal weight, track water consumption and overall progress. Daily Showdown: where users set the record for the most steps on that day. Weekend Warrior: where users set the record for the most steps during the weekend. Work week Hustle: where the users set the record for the most steps from Monday through Friday. Goal Day: where participants are asked to achieve their daily step goal. You can also challenge friends and family and have a friendly competition on who has the best track record. You can even earn badges for your accomplishments! The simple results charts provided by the app make it easy for you to monitor your progress! Fitbit is a great diet tracking tool and its functionality extends to physical activities and burned calories, which is a plus compared to the other apps that only track your weight or the food you’ve eaten. However, it doesn’t include recommendations for a workout routine, so don’t expect to plan a workout around this app. For that, you’ll need something else. And, not surprisingly, the challenges are popular too. They’re pretty motivational, as you can imagine. If there is a downside to the app, it’s that the continued running of GPS – which is required to track your activity – can decrease battery life, sometimes dramatically. The fact that it needs to be paired with yet another app for the best performance is a pain noted by some users. But for the most part, users are pretty happy with this app. A $49.99 annual Premium plan is available, but the free version is perfectly capable of helping you track your progress and maintain your goals. If you’ve got a smart phone and access to the Internet, there’s really no reason why you shouldn’t experiment with some of the better apps to help you obtain your weight loss goals. That’s especially true since you don’t actually have to pay to experiment with anything – you can download and use any of the apps mentioned here for free! And there are so many to try, should you find that the ones featured above don’t suit your needs. 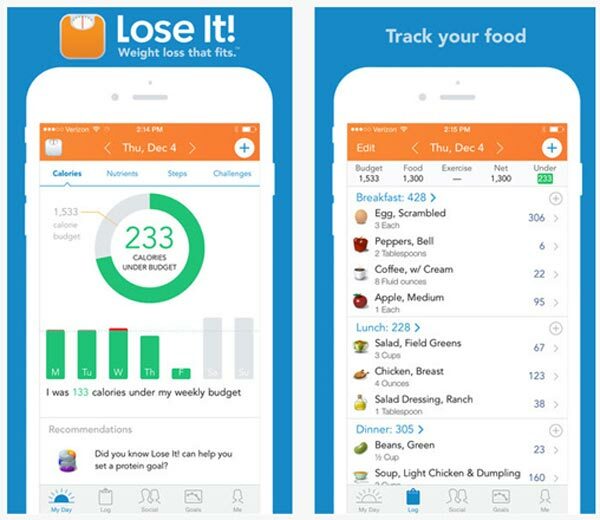 Now that you know what apps to use for your weight loss plan, it’s time to get downloading and start tracking! With the help of technology, a personal desire to lose weight, and a little old fashioned elbow grease, nothing can stop you from obtaining your goals!